Oh my goodness, what an audition! The 47 of you absolutely blew me away. I was so proud to hear the improvement in many of your voices and see your courage in attacking those tap combinations. Now, a word about the cast list. There will be even more featured dancing/singing opportunities than are mentioned below (including all of the roles in the tap ballet). I will be setting those during rehearsals based on the work I see and hear from you. There are also numerous small vocal solos and spoken lines to be assigned as we go along. Also remember: this is a chorus show. Many of you were cast in the chorus because the show desperately needed your singing and dancing abilities there. 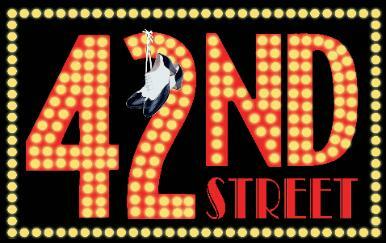 The strength of 42nd Street, the thing that everyone leaves the show talking about, is the ensemble as a whole. The majority of the roles have very few lines – but lots of stage time in some of the greatest musical numbers of all time. I think you will ALL have a phenomenal time – and be featured – in this show. If you do not see your name on the cast list, please e-mail me. I did cast everyone, so if you’re missing I just typed in the list incorrectly. I am looking forward to sharing the stage with all of you. Have a restful weekend. We start this journey on Monday from 6:00 – 9:00 PM with a read-through and a music rehearsal. I can’t wait.